Dr. Lambert received his B.S. in Chemistry from Mars Hill College and his Ph.D. in Chemistry from the University of South Carolina. His Ph.D. work was on the structure and function of the beta subunit of the eighth component of human complement. Following the completion of his Ph.D. degree, Dr. Lambert became employed as a DNA analyst in the Forensic DNA Laboratory at the South Carolina Law Enforcement Division (SLED) in Columbia, SC. During his time there he processed major crime scenes, tested hundreds of criminal cases, and testified over 80 times as an expert witness in Federal, State, and Military courts. He performed research as a visiting scientist at the FBI academy in Quantico, VA, and served as member of the FBI sponsored Scientific Working Group on DNA Analytical Methods. Dr. Lambert retired from SLED in 2008. Prior to joining the faculty at Newberry College in 2012, Dr. Lambert taught Forensic Analytical Chemistry at USC and Nursing Chemistry at South University. 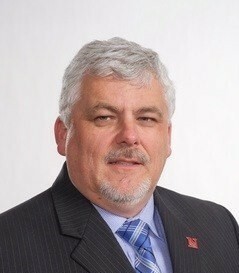 As director of the Forensic Chemistry and Biology programs at Newberry, he teaches forensic techniques in crime scene processing and evidence collection and analysis. Dr. Lambert also teaches Biochemistry and Nursing Chemistry courses. He continues to lecture on forensic DNA to law enforcement officers and prosecutors across the country.